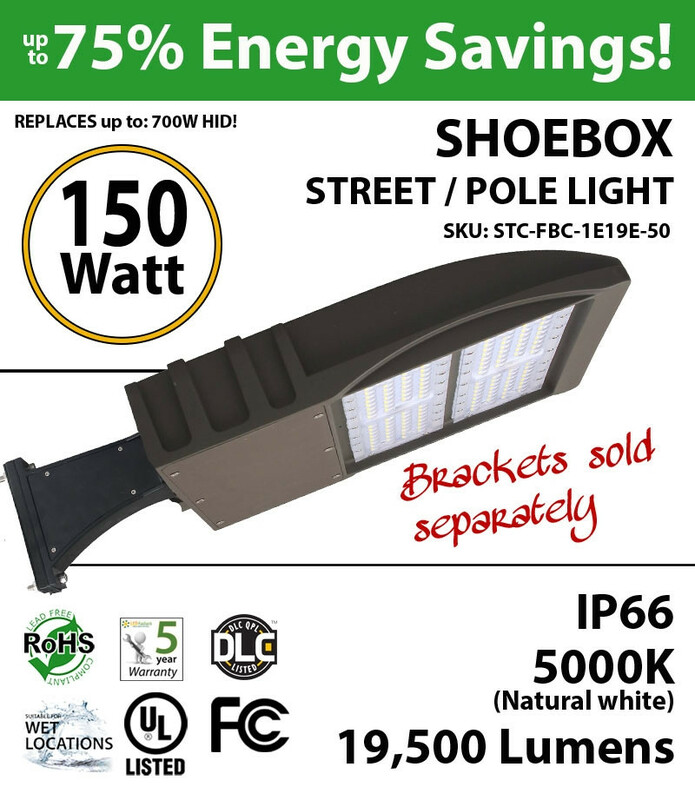 Only 150w for 19500 lumens! 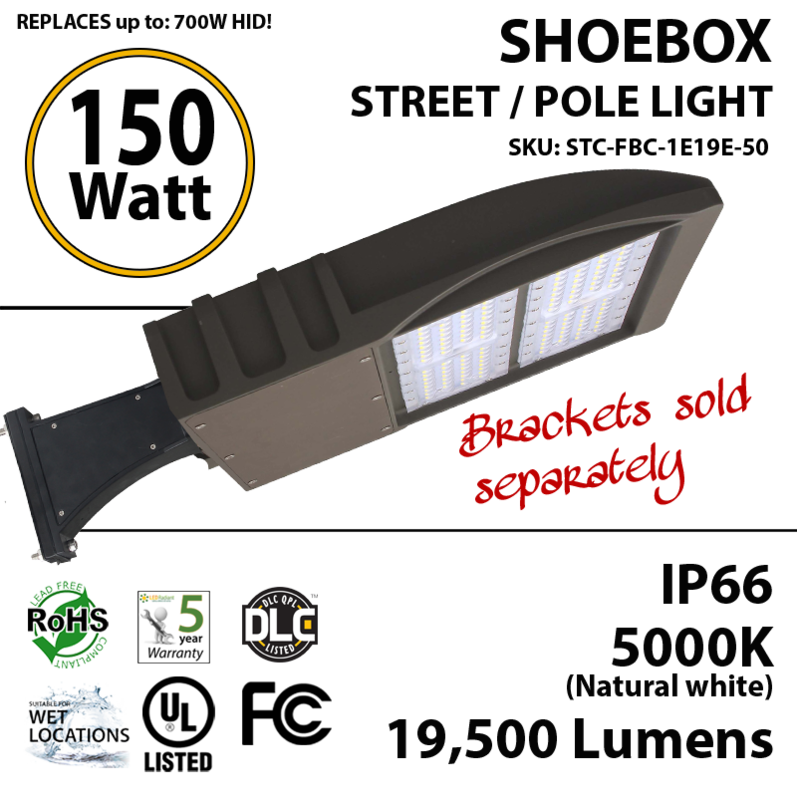 LED Street Lights are as bright as a 850w HID or hps light. 120V. Your roads will be brighter. Product Size:12.6" x 20.67 x 2.88"